For Drawing Week 2008 (courtesy of the Harbour Trust) two hundred 2nd and 3rd year students (and 10 staff each day), had access to the buildings and grounds of historic Cockatoo Island, a working shipyard on Sydney Harbour as recently as 1992 but with a history that goes back to use by convict labourers and more distantly to aboriginal fishing grounds pre European settlement. A selection of drawings from Cockatoo Island was exhibited in the NAS Project Space, concluding and celebrating the week's experience. Congratulations to all the students for an exciting and productive week. The National Art School operates an annual visiting artist program. 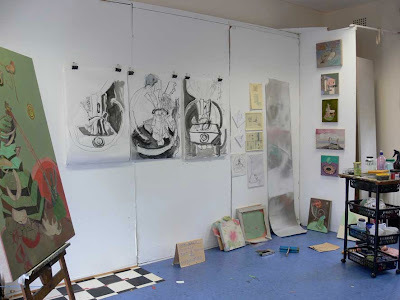 Artists are invited to work within the school for one year, occupying a studio and providing a point of contact between art students and practicing artists. 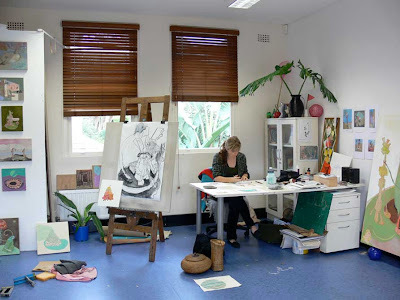 The visiting artist connected to the Drawing Department in 2008 is Melody Willis. Her work reconfigures elements of incidental architecture, noting the ways people alter and engage with public space. Photographs and on-site drawings are used as source material for larger constructed drawings and paintings. Melody is also undertaking an Asialink arts residency in China, funded by The Australia Council and connected to Platform China Contemporary Art Institute in the Caochangdi arts village, Beijing. 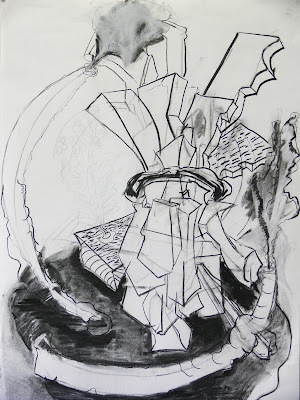 She will be pursuing a drawing project in response to the rapid pace of urban transformation in Beijing. On her return to the National Art School in July, she will expand on this experience, creating a large body of works on paper in the studio. Updates of the drawing project can be found on her website over time. Selected work from 3rd Year Drawing (2007).